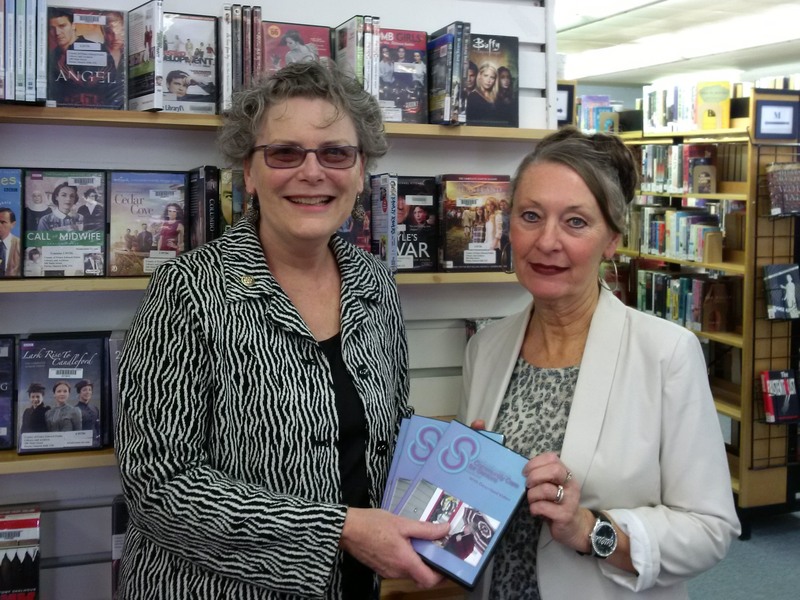 Debbie MacDonald Moynes, executive director, is shown on the left as she donates 3 DVDs to Barbara Sweet, CEO of the County Library system. Prince Edward Community Care is bringing their story of services and volunteering to more people. The agency's series of 8 short videos now have "described video" and "closed captioning" so that those with hearing or sight impairments can learn about how Community Care helps seniors live at home. This project was made possible through a grant of $2,500.00 received from the County of Prince Edward toward the total cost of $4,400.00. These DVDs are available on loan from any library in The County. The videos can soon also be watched on Community Care's website at www.communitycareforseniors.org . Transcription is available as well. Community Care extends sincere thanks to Crowe Productions for their work on this project. The Prince Edward County Community Care for Seniors Association offers services such as Meals on Wheels, transportation to medical appointments, noon-time dinners for seniors, foot care, help with forms (including Income Tax), respite, home maintenance, rural route reassurance and telephone reassurance programs. The agency is partly funded by the Ministry of Health & Long-Term Care through the Local Health Integration Network and supported by donations and community fundraising efforts, such as Community Care’s Thrift Shop at 153 Main Street. The Community Care office is located at 74 King Street in Picton.